Address staff questions and provide advice on matters relating to staff entitlements including but not limited to education grant; mobility allowance, hardship entitlements, dependency allowance and leave. Provide IRMCT management with UN rules and regulations as and when requested. 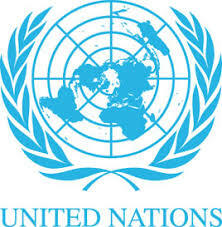 Interprets the UN staff Rules and Regulations, and administrative instructions and provides verbal and written explanations under the supervision of the Human Resources Officer. Monitor the contractual status of staff and follow up with relevant program managers regarding recommendation for extension. Initiate staff orientation and check in/out. Participate in interview panels (ex-officio role) and organise interviews on an as needed basis. Maintain on-site Job Opening, recruitment files and staff files. Assist in processing staff study leave and training requests. Facilitate the hiring of consultants using Umoja. Administration of Interns including: Preparation of offers and undertakings and Note Verbales and conducting separation interview prior to departure. Assist the Chief, HRS and Human Resources Officer to finalise outstanding issues transferred from the International Criminal Tribunal for Rwanda (ICTR) to the IRMCT. Communication – Speaks and writes clearly and effectively. Listens to others, correctly interprets messages from others and responds appropriately. Asks questions to clarify, and exhibits interest in having two way communication. Tailors language, tone, style and format to match the audience. Demonstrates openness in sharing information and keeping people informed. Client Orientation – Considers all those to whom services are provided to be “clients” and seeks to see things from clients’ point of view. Establishes and maintains productive partnerships with clients by gaining their trust and respect. Identifies clients’ needs and matches them to appropriate solutions. Monitors ongoing developments inside and outside the clients’ environment to keep informed and anticipate problems. Keeps clients informed of progress or setbacks in projects. Meets timeline for delivery of products or services to client. High school diploma or equivalent; demonstrated ability to use computer technology. Minimum of eight (8) years of related administrative experience preferably in the Human Resources field. English and French are the working languages of the IRMCT. For this post fluency in oral and written English is required. Working knowledge of French and Kiswahili is an asset.